The Grand Launch kicked off with the Gift Ribbon Untying Ceremony which formally opened the Metro Gift Registry Lounge. 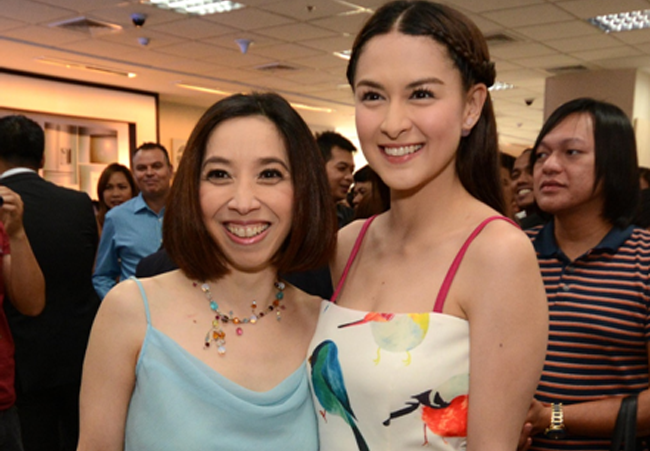 Metro Retail Stores Grouplaunched its first-ever Metro Gift Registryon September 27 at Metro Alabang Department Store with celebrity & bride-to-be Marian Rivera as Guest of Honor of the event. 1. Ribbon Untying Ceremony: (FROM L-R) Leading the Ribbon Untying Ceremony of the Metro Gift Registry Lounge at Metro are Frank S. Gaisano, Metro Retail Stores Group Chairman & CEO;DJ Kim, Samsung Philippines Business Unit Director for Digital Appliances; Guest of Honor Marian Rivera;Jasper Tiu, Vice President of Peerless Lion (makers of Hana Shampoo); Francis Moral, COO of Tridharma Marketing (distributor of Kopiko Café Blanca) andAnna Marie Periquet, Metro Retail Stores Group Vice President for Corporate Affairs and Project Proponent of the Metro Gift Registry. 3. 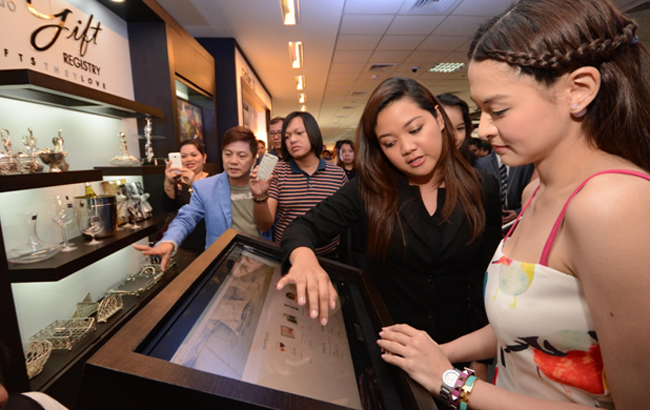 Demonstration of MGR Electronic Registry: Celebrity bride-to-be Marian Rivera browses through a wide selection of gift items in the exclusively programmed Metro Gifts They Love electronic catalogue. 5. Marian Riverawith Metro Chairman and CEO: Metro Retail Stores Group Chairman and CEO Frank S. Gaisano and Marian Rivera during the program. 6. Marian enjoying her surprise bridal shower: The beautiful bride-to-be honoree was all smiles at her surprise bridal shower. 8. 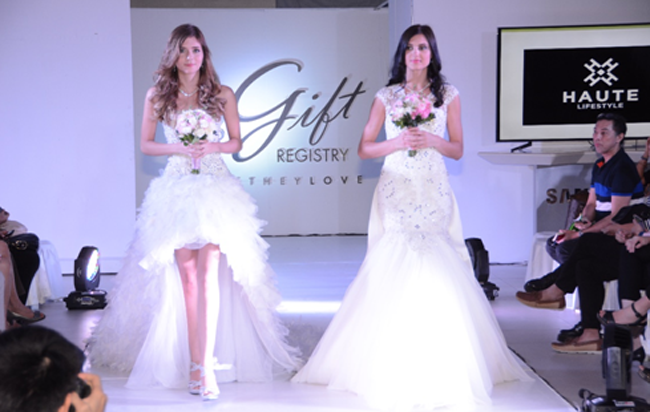 Bridal Wear by Haute Lifestyle: Contemporary bridal gowns by fashion designer Shiera Lim of Haute Lifestyle were showcased during the fashion show. 9. 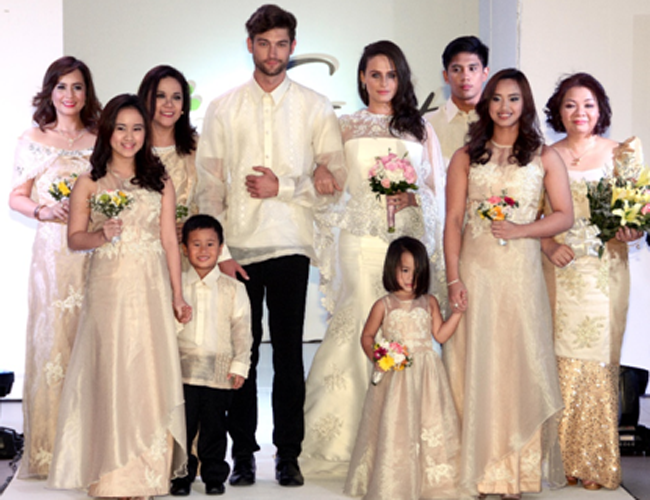 Bridal Wear by Krugarant: Baby Lim of Krugarantshowcased her Filipiniana inspired bridal collection. 10. 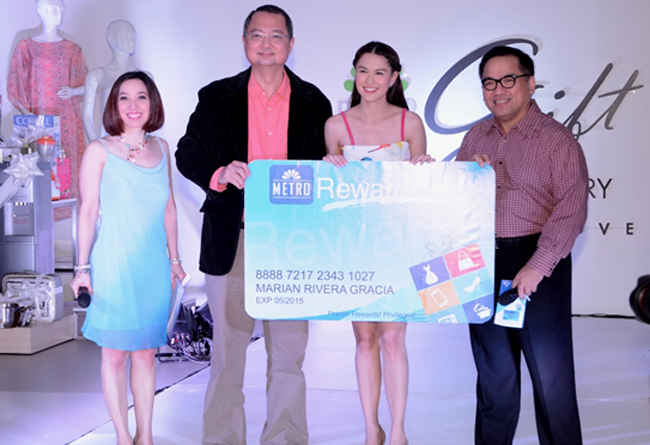 Marian receives MRC card: (FROM L-R) Metro VP for Corporate Affairs Anna Marie Periquet, Metro Chairman & CEO Frank Gaisano and Metro VP for Marketing CJ Jesena present the Metro Rewards Card to Marian Rivera.